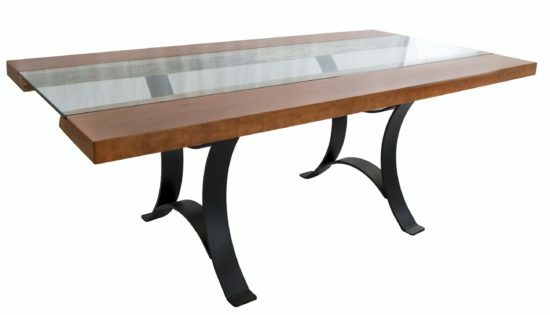 42″ x 60″ Golden Gate Table shown in Rustic Cherry. Standard Features: Rectangular top, glass insert. Available in sizes: 42″W x 108″L (6″ increments). Leaves: N/A. Available Woods: Rustic Cherry, Rustic Walnut.